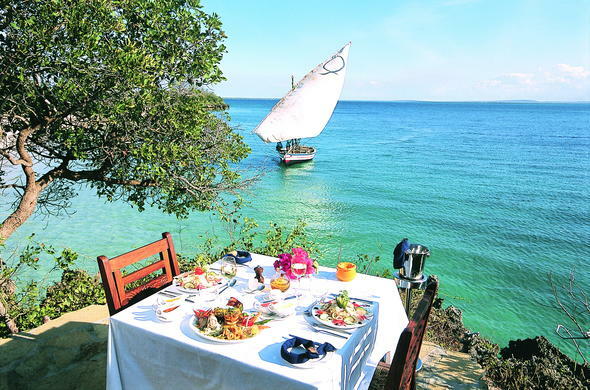 Here you can enjoy a beach holidays and exotic island-hopping excursions off the coast of Mozambique. From just plain relaxation on the beach to water sports, sailing and fishing... the options are endless. Island Romance - Don't let a honeymoon be the only reason for visiting this Indian Ocean paradise. Make up an excuse, be in love. Pack your bags and escape to sunny Mozambique. The tropical paradise islands of the Bazaruto Archipelago in Mozambique is a pristine destination that serves as a wonderful holiday experience for honeymooners, families or the traveler who simply wants to escape and relax. The six islands of the Bazaruto Archipelago are adorned with scenic, sandy white beaches that leads into clear, azure waters where guests can enjoy a variety of activities such as snorkeling and scuba diving. The coastal town of Inhambane is often a stopover for those travelling to the Bazaruto islands. Inhambane has a rich cultural history and is close to many famous dive sites. Visit a local Cashew plantation, or explore the city which is known for its colonial architecture. Perhaps bargain for goods at the local market or arrange diving and fishing expeditions. or enjoy a wide variety of water sports. Inhambane Lodges in Mozambique enjoy a stunning location. Stay in a chalet on stilts in the shallow lagoon, or watch an amazing sunsets from your beach resort. The town of Vilankulo has many sandy beaches and you will enjoy many holiday activities such as horse riding along the beach or quad biking. Dhow sailing, water sports, snorkeling and diving excursions into the Bazaruto Archipelago are popular activities. You can also make time to visit to the Vilanculos Wildlife Sanctuary.